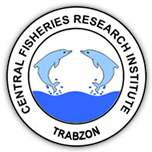 1 Bodrum Fisheries Research Institute, Güvercinlik, Bodrum, Mugla, Turkey Viewed : 1760 - Downloaded : 3939 Sea bass seed production of Turkey has increased rapidly in the last 5 to 6 years, which is comparable to those of some Mediterranean countries and has reached the level of approximately 50 million fry in 2001. However, seed production of this species is not expected to increase in the near future because of the market saturation and the fall in the price of the final product. Recently, the survival, growth rates and the quality of sea bass fry have improved considerably as a result of technical advances in larval rearing. Nevertheless, more efforts are necessary to reduce production cost of juvenile. With the current crisis on Artemia, the importance of compound diets as alternative larval food is recognized.